We at ATRA want to celebrate our colleague Geneva Carney’s 25th anniversary as a member of the team. 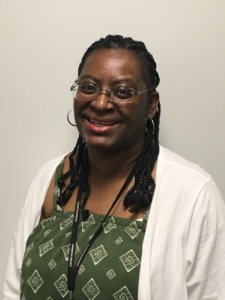 Geneva joined our staff on July 6, 1993. Now, as the organization’s Manager for Office and Membership Services, Geneva is responsible for carrying out the day-to-day administrative support for all aspects of what ATRA does. This includes, but is not limited to, organizing conferences and meetings, managing important financial procedures, ensuring that important information is distributed to members and allies in a timely fashion and overseeing the essential support for our office systems. Geneva is a tireless, dedicated and loyal colleague. We are grateful to her for her outstanding 25 years of service and look forward to 25 more.